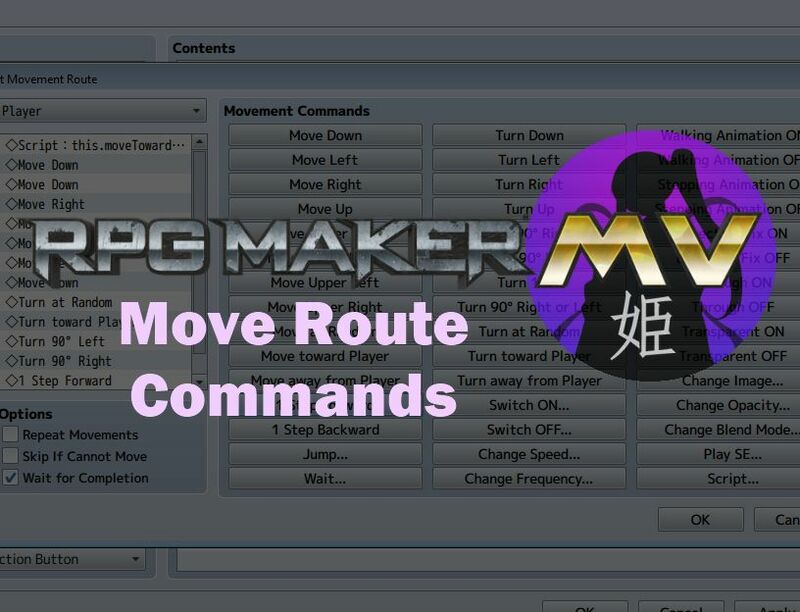 This plugin provides some extra move route comands that might be useful. look into adding it to the library. Download ths plugin and place it in the “plugins” folder in your project’s “js” folder. Then open your Plugin Manager (F10), double-click an empty row, and select the HIME_MoveRouteCommands plugin. All commands can be used in a move route with the script call command. Below are all of the script calls that are provided by this plugin. Could you please add the possibility to cast animations on target event for future updates? So I could stage a couple of npc’s moving around while they cast hit animations on eachother pretending to be “battling” in my scenarios through the move route system. Hi, I wanted to use this programm for making a cat being chased by a dog and running away while he follows her. But ist doesn´t work, it´s just saying “cat not defined” and i dont know how to make it work. Even if I call the dog EV037 and the cat EV038 it doesn´t work. It just keeps saying “EV038 is not defined”. I don´t know what i´m doing wrong. Event 37 is referred to as just 37. I’m using your Party Manger script and was hoping to have the event move towards one of the created parties. I was thinking maybe this.moveTowardsParty(ID) would work? Where the character is an event object. Which will have the specified character move towards the idle party event that represents party with ID 3.